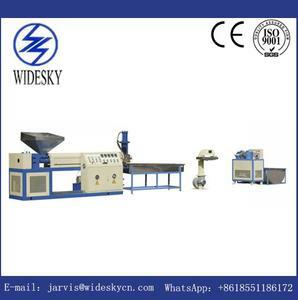 WPC granulation line Wood and plastic granulating machine, 60% wood and plastic pelletizing machine. 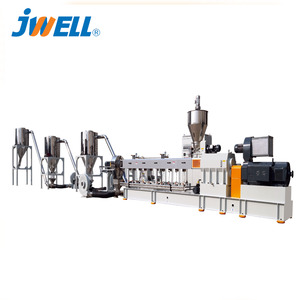 Paralell twin-screw extrusion machine designed according to characteristics of wood and plastic(PE and PP), professional manufacturing, and stable function ii. Able to expel moisture and gas easily because of several vents designed iv. 2 YRS Zhangjiagang Xinhe Machinery Co., Ltd.
, Ltd is a High-Tech company, which is composed of well-experienced team in R&D, manufacturing technique, sales service and basing on extruder industry for many years. 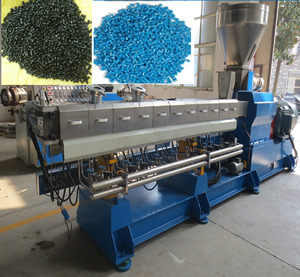 Our company is a professional manufacture of high quality pelletizing extruders for coloring/ dyeing and master batch production, as well as plastic modification and compounding ,plastic recycling. Our machine types: 1. Co-Rotating Parallel Twin Screw Pelletizing Extruders 2. 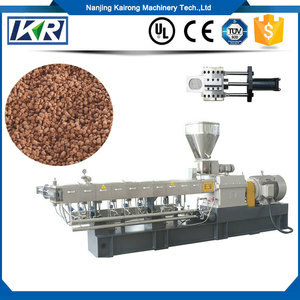 Single Screw Pelletizing Extruders 3. 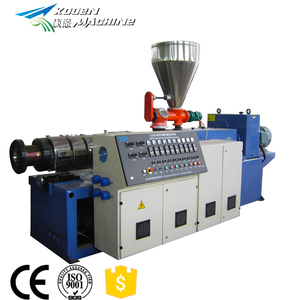 Die Face Cut (Air Cooling) Pelletizing Extruders 4. Double Stage / Double Degassing Recycling Extruders 5. Crushers, Mixers, Storage Tanks, Vibrators, Granulators, Blowers 6. Extruder spare parts Dear friend, Nanjing Haisi Extrusion Equipment welcome you. 5 YRS Zhangjiagang Ableplas Machinery Co., Ltd.
WPC granulator WPC pelletizer Wood Plastic composite granulator Wood plastic granulator This WPC granulator machine is used to produce WPC granule, PVC granule. - Power of high-voltage blower fan: 1.5kw For more detail info, please feel free to visit our website or inquire us at any of your convenience. Contact Information: Sophie Lu Qingdao Zhenxiong Mechanical Equipment Co.,Ltd No. The parallel twin-screw adopts modular construction, with advantages of all gear-closing and strong self-cleaning. The machines can be combined free according to the characteristics of materials and production process, so it is widely use. The reasonable-distributed material running channel can ensure the uniform extrusion of the granules without mutual influence. 5. It not only has natural properties of wood, but also has many colors for you to choose as per your demand . 6. It is widely used in making rail, passages, stairs, outdoor desk and chair, flower frame, pools etc. in addition, it can be used for indoor plate decoration , kitchen cabinet board, tray etc . All the material come to our factory must pass the quality test Substandard goods are returned to the supplier. All the machine must be checked before delivering to our customer. What we want to do is to give our customer a good quality product with stable and long time working life. 5 YRS SKY WIN Technology Co., Ltd.
3. The complete wpc granules line should be consit of materia charger, SJPseries extruder, face cutting machine, blower, air transit system and hopper. 4. The total length of wpc granules line is around 18m, 5. total power of wpc granules line is about 50-100kw, deponds on the capacity of your requirement. 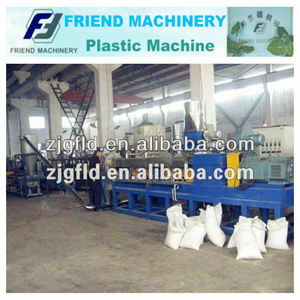 We are preffessional plast equipment manufacturer, which engaged in this field for years. 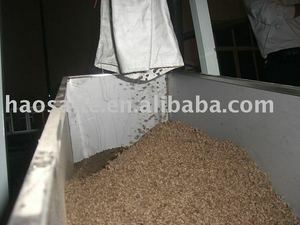 Alibaba.com offers 1,272 wpc wood granule products. About 20% of these are plastic granulators, 1% are other plastic raw materials. A wide variety of wpc wood granule options are available to you, such as double, single. You can also choose from pp/pe, pvc, and pet. 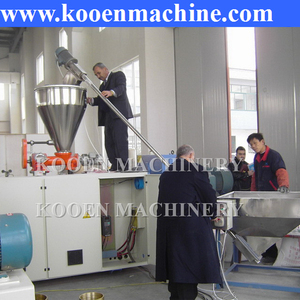 As well as from granulating production line, recycling granulator. And whether wpc wood granule is free samples, or paid samples. There are 1,272 wpc wood granule suppliers, mainly located in Asia. The top supplying country is China (Mainland), which supply 100% of wpc wood granule respectively. Wpc wood granule products are most popular in Domestic Market, Southeast Asia, and Mid East. You can ensure product safety by selecting from certified suppliers, including 413 with ISO9001, 168 with Other, and 56 with ISO14001 certification.